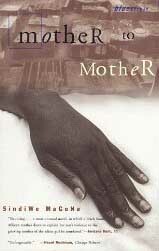 Drawing from the 1993 killing of Amy Biehl in apartheid-era South Africa, Mother to Mother, a novel by Sindiwe Magona, shares with us a different perspective. Literature about murders of white people by black people tend to avoid the women in the killer’s life – unless it’s framed in terms of pathology. In Native Sun, for instance, the women were silent [as well as the first to be killed]. It is very rare for such women to be allowed to narrate their own life stories. With her quietly powerful novel, Magona has changed that dynamic. Fulbright scholar Amy Elizabeth Biehl was set upon and killed by a mob of black youth in Guguletu, South Africa in August 1993. The outpouring of grief, outrage and support for the Biehl family was unprecedented in the history of the country. In my novel, there is only one killer. Through his mother’s memories, we get a glimpse of human callousness of the kind that made the murder of Amy Biehl possible. And here I am back in the legacy of apartheid – a system repressive and brutal, that bred senseless inter- and intra-racial violence as well as other nefarious happenings; a system that promoted a twisted sense of right and wrong, with everything seen through the warped prism of the overarching crime against humanity, as the international community labelled it. The mother, Mandisa, had her oldest child, Mxolisi – the one who, through his actions, catapults her into narration - when she was a 15 year old school girl. It has to be noted that, at the time of her pregnancy. Mandisa was a virgin. The inclusion of an African immaculate conception raises the questions of whether it was Magona’s intent to draw a correlation from Mary and Jesus to Mandisa and Mxolisi. Or was it simply a byproduct of the story? Considering that Mother to Mother is Magona’s first novel (although not her first book), it might be a legitimate question. The legitimacy of that question, however, is overshadowed by the undeniable fact that both Mxolisi and Jesus were instrumental in bringing about changes in status quos. As a result of the crucifixion of Jesus, Christianity became a potent force in the world. As a result of the killing of Amy Biehl, the death knell for apartheid – which had been slowly but steadily ringing for decades – increased in volume to the point that it no longer was a “knell” but a toyi toyi, the martial dance which symbolized the determination of South Africa’s majority black population to never again live as a disenfranchised minority. Going the Jesus route, however, in explaining the murder of Biehl sidesteps the question Mandisa herself asks, over and over again. What was she doing, vagabonding all over Gugulethu, of all places; taking her feet where she had no business? Where did she think she was going? Was she blind not to see there were no white people in this place? Or does it? Did Amy Biehl demonstrate a god complex by treading where no white person went? Did she think her presence in South Africa, as a well meaning white person assisting with the transition to a democratically elected government, would protect her from repercussions of apartheid? Was she so divorced from the harsh reality that produced slogans like 'one settler, one bullet' that she thought it perfectly logically to drive her black companions to Gugulethu? Mandisa herself provides the answer – that behind that slogan was a political decision to make South African ungovernable for the apartheid government – to bring the consequences of apartheid squarely into the homes, businesses and lives of its beneficiaries; those who allowed their sense of humanity to be controlled by greed and selfishness. Now, your daughter has paid for the sins of the fathers and mothers who did not do their share of seeing that my son had a life worth living.